After having discovered Ryans Irish Pubs: the best places to go for pre-drinks or a delicious cocktail (for only 3€!) I have now tasted their most recent inauguration: food! 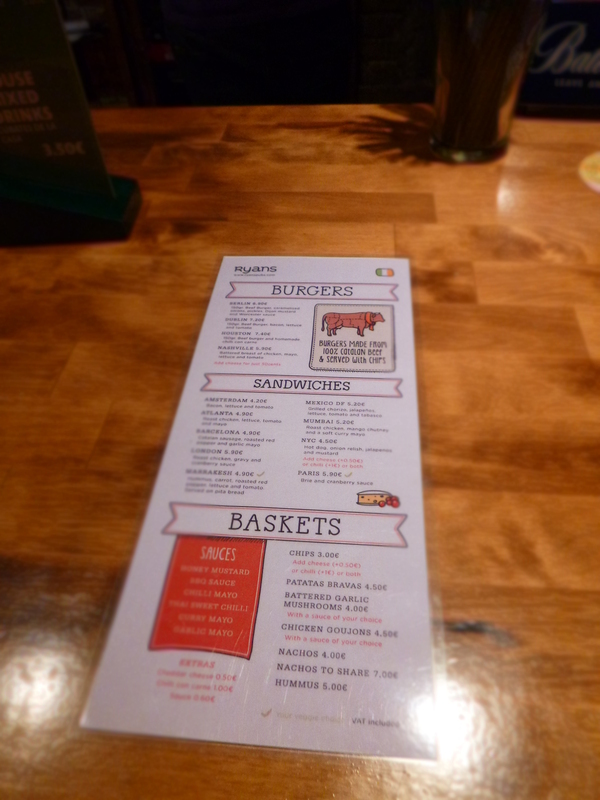 On Monday Febuary 25th, the chain opened its first pub/restaurant offering its usual drinks menu (see previous post) and for the first time FOOD! 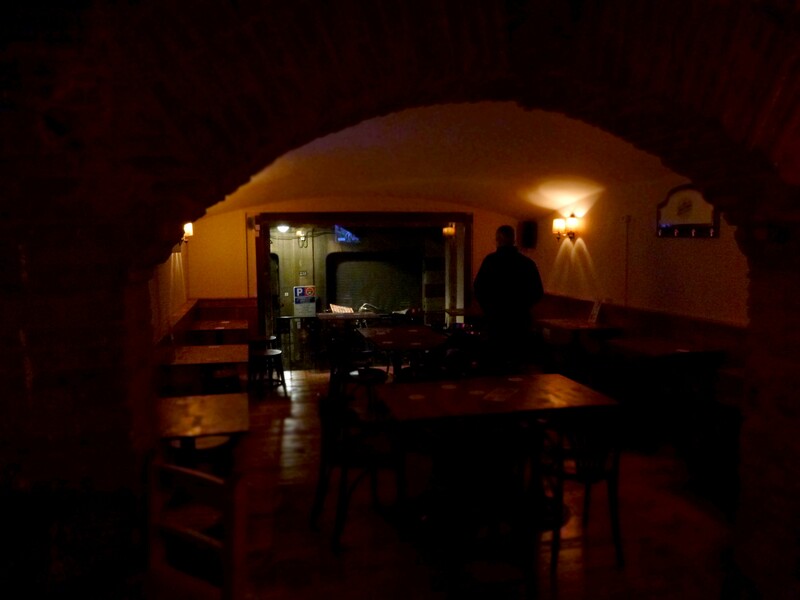 The new place is located on Carrer Ample 24 (only 4 doors away from another of their pubs). The smell of new wood, light-coloured-wood furniture and white walls on the ground floor will transport you to a chalet in Switzerland after skiing. Go up to the first level if you prefer sitting at a table rather than on stools at the bar. Their menu is classic yet original. Yes they offer the usual “pub food”: burgers, sandwiches (both served with chips) and platters to share however their ingredients are unique and perfectly reflect the international spirit felt in Ryans Irish Pubs: you can get a Houston Burger (beef burger and homemade chili con carne), Mexico, Paris or Barcelona (butifara with roasted red peppers) Sandwich for example. Those who are vegetarians: FEAR NOT! 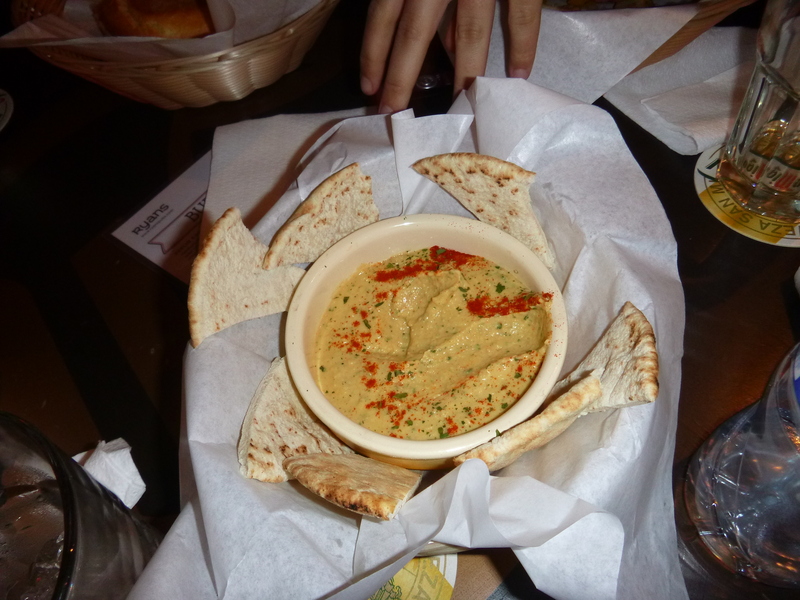 Their Humus with pitta bread is delicious ! Not only is this menu original but the food is homemade and fresh too! The buns for the burgers are delicious: white light bread with just enough savour that it doesn’t spoil the fresh meat and vegetables’ taste. The best part? 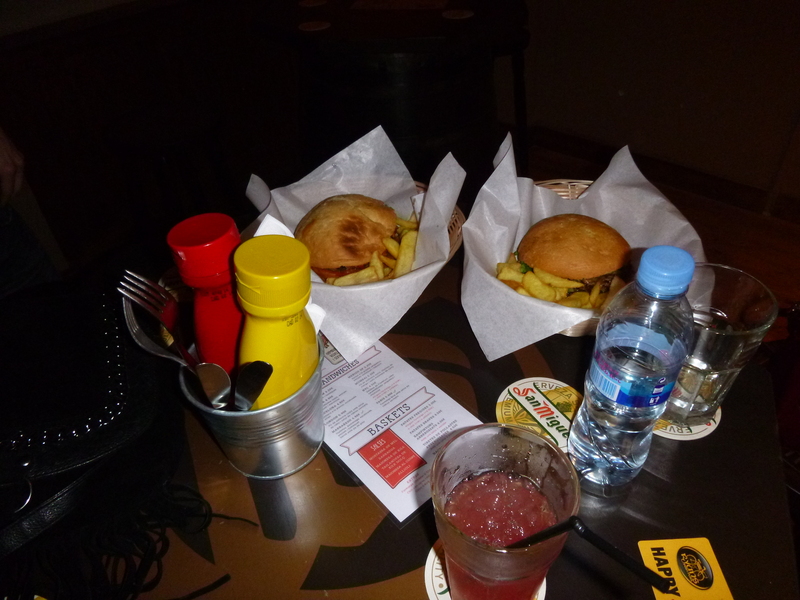 On Fridays you can enjoy a special deal: 5€ for a burger/sandwich + a drink. With this new location you can now spend a good-value night out in Barcelona you’ll never remember yet won’t forget with a nice dinner and pre-drinks at Ryan’s Bar ! This entry was posted in Bars, Restaurants. Bookmark the permalink.